During the school year, I feel as though life is busy. Between homework, practices, errands, soccer games, volunteering, PTO events, and more, the kids and I hit the ground running in the morning and don't stop until dinner. However, once summer arrives, it isn't long before I'm reminded on just how busy our days can actually get. Arriving for swim meets at 6:45am, loading and unloading bikes for triathlon training (for the kids, not me), making it on time to birthday parties, barbecues, play dates, and more... whose idea was it to schedule three different things all happening one right after another? Me? Oh. Right. Needless to say, I've been slacking on some of my usual household duties, as let's be honest. A mom can only get so many things accomplished in the span of 24 hours. 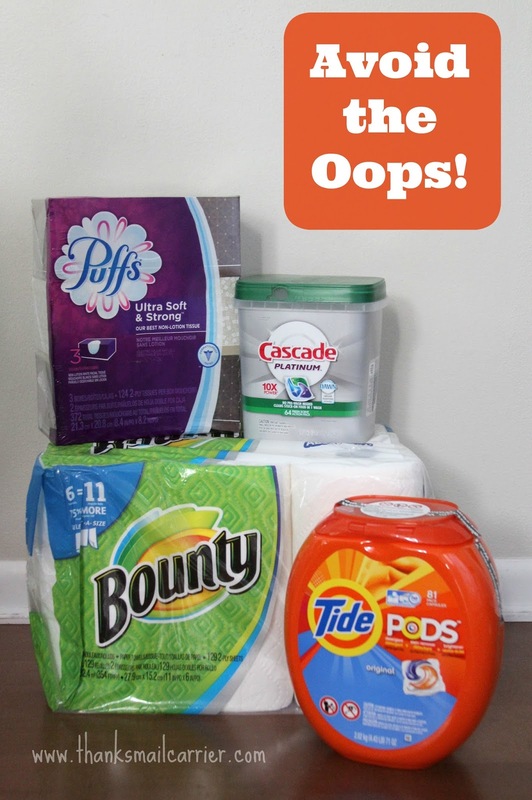 Fortunately for all of us, I've been able to "Avoid the Oops" of running out of the essentials we need in just about every room of the house thanks to all of the great stock up options available from P&G and Walmart.com! From tissues to cleaning supplies to soap to toothpaste, P&G has all of the items that my family depends on each and every day. I try to always keep extra Charmin in all of our bathroom cabinets, as we all know that sinking feeling when you reach for the toilet paper roll only to find that it is empty, right? And don't even get me started on how I felt my heart skip a beat a few weeks ago when I went to wash yet another load of swimsuits and towels only to find my bottle of Tide detergent empty. It was a good thing that I was able to dig around on my laundry room shelves to find one lonely sample package stashed away! 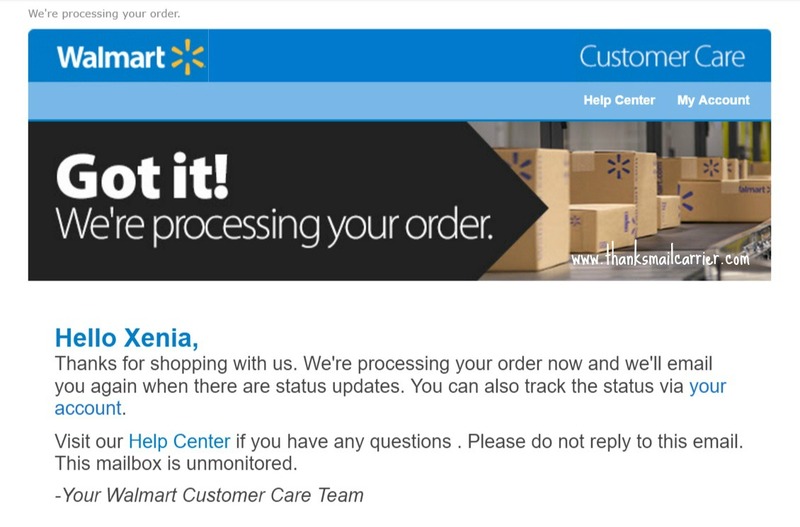 That was the day that I went straight to my computer to stock up at Walmart.com. 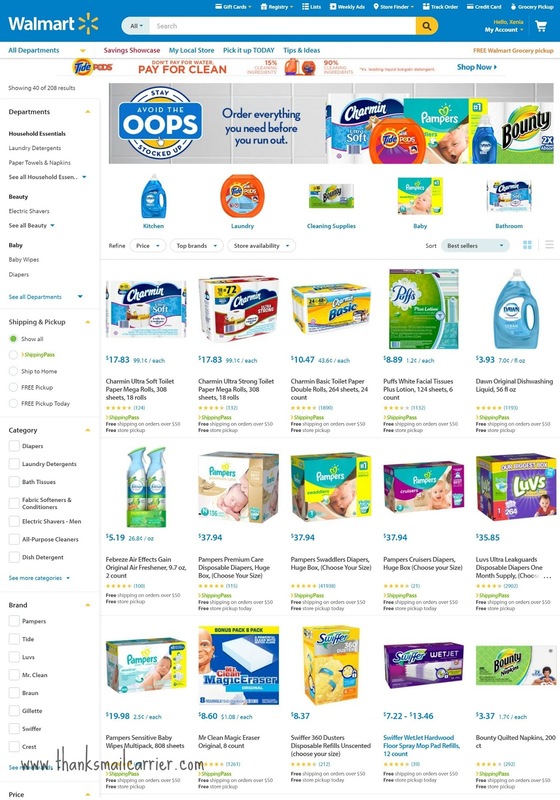 Their convenient Avoid the Oops site is filled with page after page of P&G products in all categories, sizes, price ranges, and more — and, if your order is $50 or more, it automatically comes with FREE shipping (whatever the order total, there is always free store pickup as well)! This really couldn't be much easier, which is why there is no reason to take time away from summer fun and drag my kids to store after store when just about every essential we need can be purchased at Walmart's everyday low prices and then delivered right to our door instead. It only took me a matter of minutes before I had my cart filled and my order placed. All that was left to do was sit back and let Walmart and P&G take care of the rest! After a few days of enjoying the summer sunshine, the first half of my order arrived safely and well packed. Another couple days later and the second half showed up, just as conveniently as the first! Can we just talk about how much easier it is to have these items be delivered to me for free rather than dragging all of their bulk in and out of the cart, trunk and into my house? And what a time-saver! We use Bounty paper towels for just about everything and these Puffs tissues have already been put to use due to the amount of sneezing and sniffling that my kids have been doing thanks to their summer colds. 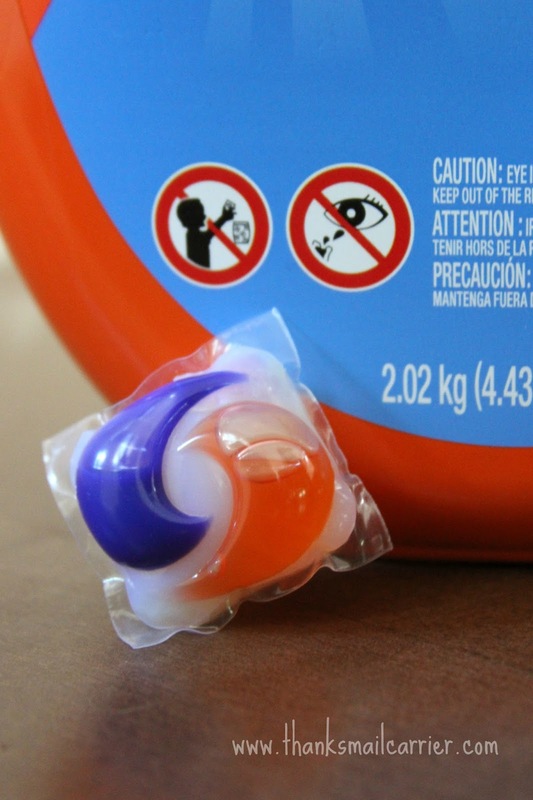 As for the Cascade Platinum and Tide PODS? They are my lifesavers. The washing machine and the dishwasher are running constantly, so being able to grab one of these handy little packets to toss into the machine is a must! 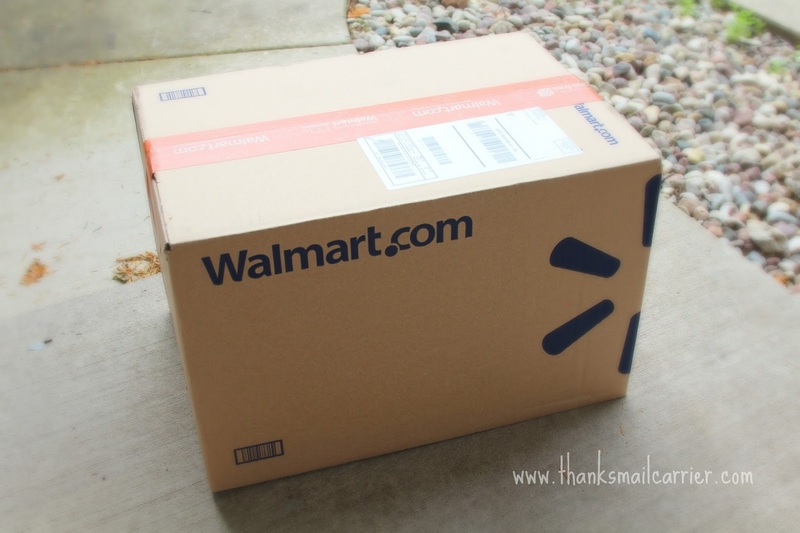 When it comes to saving time and money, the everyday low prices at Walmart can't be beat and the convenience of having it all delivered right to your door is nothing short of magical. Why spend more time indoors shopping when you could be outside enjoying summer instead? Head over to AvoidTheOops.com to see just what high quality P&G products are waiting for you today! Do you have an "Oops" moment when you realized you were out of an essential?